We have a gorgeous white and tiffany blue wedding tablescape for you today Lovelies! We are obsessed with these tiffany blue lanterns. They are so fun and lovely when they abundant like this. 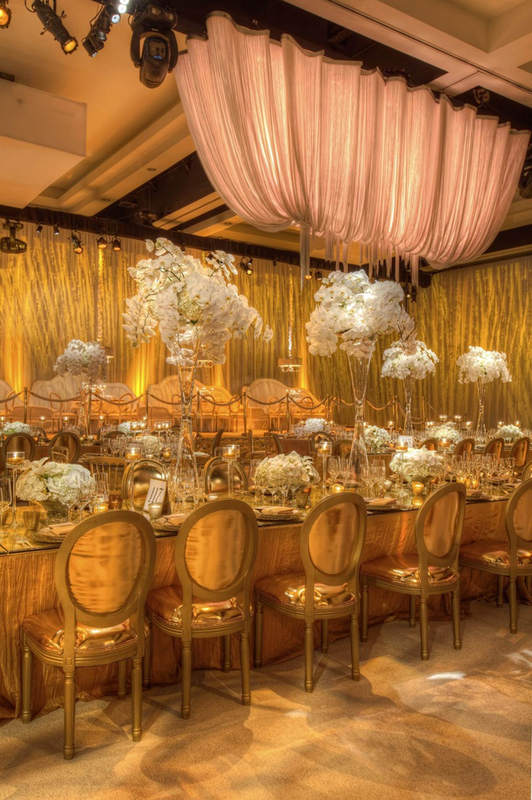 Of course we are always smitten for orchid centerpieces and these tall orchid centerpieces are just beautiful. We adore the hanging butterflies off of them as well as the butterflies inside the vase. The green and blue low centerpieces at the bottom are such lovely accents too. We lovely the white and tiffany blue place settings all on this tiffany blue linen. 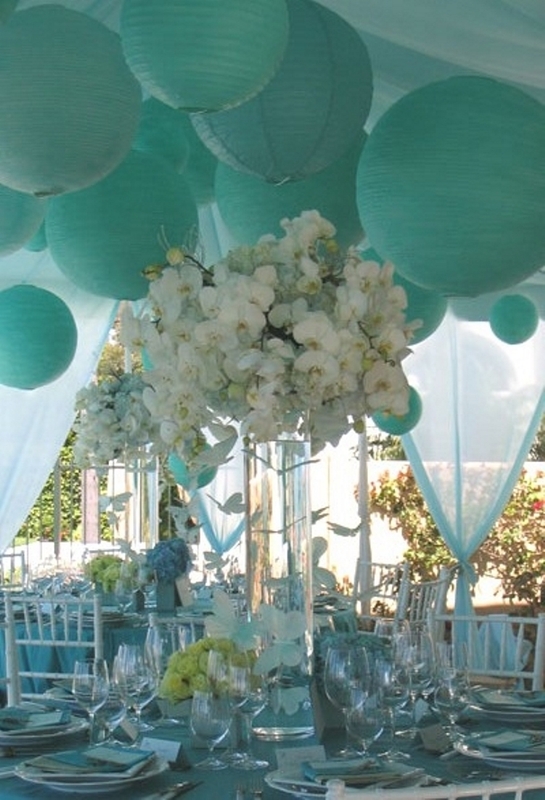 This white and tiffany blue look could work for so many parties and weddings it is not even funny!